With more than 274,000 votes cast, Vermonters overwhelmingly re-elected Phil Scott to serve another term as governor, choosing the governor’s message of affordability over national buzz about gender identity. 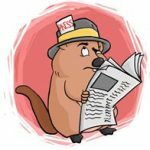 While the midterm election in blue-state Vermont may not have presented many surprises for insiders, it showed that voters were comfortable with keeping the current bipartisan team at the top of the state ticket. In the governor’s race, incumbent Republican Gov. Phil Scott defeated Democratic challenger Christine Hallquist with 54 percent of the vote. Hallquist won about 39 percent of the more than 277,463 votes cast, in what was the nation’s first gubernatorial race to include a major-party transgender candidate. 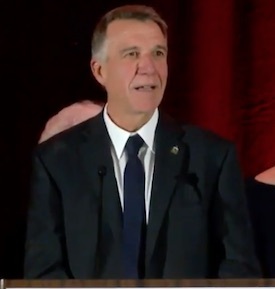 In his acceptance speech late Tuesday night, Scott said the election results showed Vermonters want bipartisan cooperation. “In electing a governor of one party and a legislature of another, the message Vermonters have sent to us tonight is clear: ‘Work together,'” Scott said. 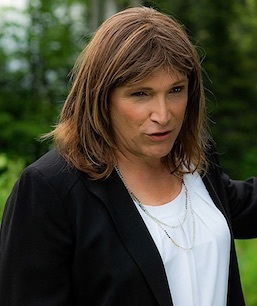 Hallquist, whose chief experience was leading Vermont Electric Cooperative for nearly 20 years as Dave Hallquist, was a first-time candidate for elected office. In her concession speech, Hallquist congratulated Scott on a respectful campaign. Born David Hallquist, the gubernatorial challenger transitioned in recent years while working at Johnson-based Vermont Electric Cooperative. Despite receiving international attention, gender identity was never an issue during the campaign. 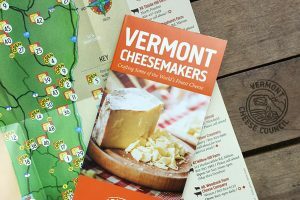 Instead, issues between the two major party candidates included ways to make Vermont more affordable for low-income and middle-class residents. 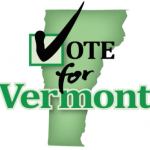 Other issues included affordable housing, education, climate change policy, rural communications infrastructure, and the demographics crisis of “Vermont flight” by young people. In the race for lieutenant governor, incumbent Lt. Gov. David Zuckerman easily defeated Republican state Rep. Don Turner with about 58 percent of the vote. 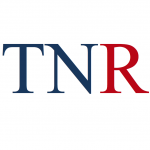 Turner, who served as House minority leader for multiple terms, won about 39 percent of the votes cast in the midterm. In their race, the same issues resonated — notably climate change, the minimum wage, school district mergers under Act 46, and ways to stimulate more community volunteerism. Throughout the campaign, Zuckerman touted his support of marijuana, environmentalist policies and the carbon tax. Turner and Zuckerman agreed about concerns over forced school district consolidation, however, with neither candidate wishing to violate local control. Surprisingly, a last-minute dispute over forced vaccinations during a debate saw Zuckerman, a Progressive, siding with parental control over family medical decisions, while Turner, a Republican, doubled-down on vaccinating Vermonters against their will. Zuckerman also painted his GOP opponent as a man lacking vision. “We need vision — this (Republican) idea that it is jobs and affordability versus the environment and climate change is not a visionary response,” Zuckerman said a few days before the election. 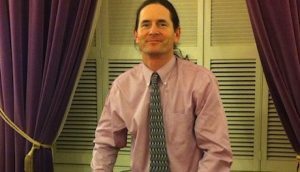 Zuckerman supported a $15 minimum wage while Turner, having voted for a minimum wage bill three years ago, said he had changed his mind on additional wage hikes. “According to our legislative economist … (a $15 minimum wage) would cost thousands of jobs, reduce hours of people that are working for that wage … (and) raise prices,” Turner said during the campaign. During the race for governor, questions about Hallquist’s novice status in politics was brought up by questioners on more than one occasion. While Scott easily answered the “experience” questions by reviewing his business track record and his nearly 20-year history in the Statehouse, where he served five terms as senator and three terms as lieutenant governor, Hallquist touted her business acumen and vision. Scott faced an angry backlash from the state Republican Party by passing new gun laws after a thwarted school mass-shooting plan was uncovered by a teen. In the aftermath of the Parkland, Florida, school shooting, however, Scott was seen by conservatives as aligning himself with proponents of gun control. The state’s new gun legislation, signed by Scott in April, included expanded background checks for gun purchases, limits on gun magazine capacity, restrictions for alleged domestic abusers and a change in the legal age to purchase a gun. When the Republican primary campaign kicked off in the spring, Scott proudly touted his first term accomplishments — he stabilized residential property tax rates, eliminated Social Security income tax for low- and moderate-income Vermonters, reduced state income tax rates by $30 million, added no new taxes or increases, and took credit for adding 4,400 individuals to the state’s workforce. He said he was especially proud for pushing through a tuition entitlement for Vermont National Guard members. Ultimately, Scott’s name recognition and high visibility on the political and media scene helped his re-election bid. In addition, Scott’s Chittenden County win this election accounted for nearly a quarter of the state’s votes. At both the Republican and Democratic headquarters in Burlington on election night, the respective party chairs thanked the candidates for taking the “high road” during the campaign. Deborah Billado, chair of the Vermont GOP, thanked all party candidates for hard work and for staying focused on issues and policies. Terje Anderson, chair of the Democratic Party in Vermont, said that motivated campaign volunteers and a strong voter turnout bode well for both democracy and the party. Zuckerman?????????? If that’s what the future holds for young Vermonters, I pity the few who stay. Interesting to note that a lot of Republicans who didn’t support Trump also didn’t get elected in their state wide elections. Just sayin’…. Scott was the best choice, but i wonder what ever happened to the Northern New England common sense? Zuckerman with all your “vision”, respectfuly, I suggest you take your vision and go hug a tree!! Zuck doesn’t have time to hug a tree, he’s to busy working as a puppet for the teachers union.